I am often asked by patients what can be done for my arthritis? This is very prevalent in the knee. 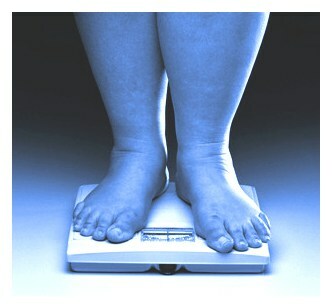 A glaring reality is that our society is overweight. The average American gains 10 pounds per decade. This translates to greater stress reactions on the weight bearing surface of the knee. The two bones which articulate to form the hinge knee joint are separated by cartilage and the meniscus. This forms a stabilizing and shock absorbing structure to absorb the forces of day to day living imposed on your body by standing, walking, bending, and other activities. The easy analysis is too much weight overloads the knee cartilage’s capacity to absorb these stresses and joint breakdown or degeneration occurs, thus leading to arthritis development. Simply stated by losing weight, your knee will have less overload to deal with and symptoms generally improve. Cases that are more advanced and significant degeneration of the knee has already occurred may require additional measures. Medications for arthritis (anti-inflammatories) may help diminish pain, but do not stop the degeneration from continuing. Joint lubricant may help, but are also not effective long term. Recent studies have shown that Platelet Rich Plasma (PRP) was more effective than Hyaluronic acid joint lubricants. Platelet Rich Plasma (PRP) uses the bodies own healing capacity to direct tissue repair and halt degeneration. PRP has an abundant supply of growth factors which can provide a regenerative effect. Losing weight and seeking regenerative medicine alternatives such as Platelet Rich Plasma (PRP) may be effective measures to answer what can be done for knee arthritis.